TSF Consultants are the UK’s leading provider of independent mental capacity assessments with a network of expert mental capacity assessors across England and Wales. Exclusive network of leading consultants and specialists offering neurological reports, assessments, imaging and rehabilitation services. 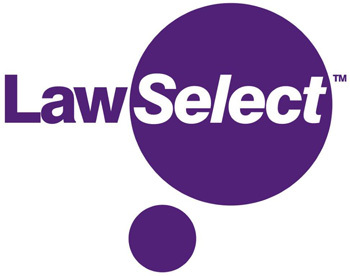 Services and products that offer value to member law firms and other professional businesses. Psychologists will assess and support clients in their capacity to make decisions. TSF Consultants are the UK’s leading provider of independent mental capacity assessments. We have a network of expert mental capacity assessors across England and Wales. Our assessors regularly assess mental capacity and have extensive experience of working with clients that have cognitive impairments and acquired brain injuries. TSF specialise in CoP3’s, Testamentary capacity, assessments for LPA’s (including being certificate providers), capacity to gift, capacity to litigate and item specific capacity assessments. Leading rehabilitation cost consultancy, with over 30 years’ experience in providing expert care and equipment cost analyses for personal injury and clinical negligence claims, working with both claimant and defendant solicitors. Creative design and marketing agency. Financial advice and risk-rated investment management. Thirty offices provide a nationwide service. IFA specialising in services to legal practitioners and their clients. Financial advice and investment management. Travel, motor and equipment insurance for people with disabilities. Also employer's liability cover. Travel insurance for people with disabilities. Exclusive professional indemnity programme for Brain Injury Group member firms. Specialist insurer for over-50s and disabled people providing cover and warranties for mobility scooters and equipment; also liability insurance for people employing personal assistants. Bespoke home, motor and travel insurance for Brain Injury Group member firms acting as Trustees. Medical record pagination and chronology services. Medical pagination and chronology services for legal professionals. •	Award-winning, bespoke expert collation of NHS, private, and military records, preparation of a simple Timeline and/or a detailed Chronology with page references highlighting salient points. •	Expertly handled by scientists with clinical experience – a multidisciplinary team working collaboratively from a professional office. -	Hyperlinked – click on reference or entry within index or report and be taken to the corresponding page of the medical records. Medical record pagination, chronology and scanning services. 3d Rehabilitation provides a complete rehabilitation and diagnostic service for personal injury professionals and other private organisations. We establish the injured party's immediate needs after an accident and deploy a range of cutting edge treatment services to help aid recovery. Medico-legal experts in psychology and psychiatry. The Apollo Health Group of companies offers a complete range of rehabilitation services; specialisms include surgical, medical and neurological rehabilitation including case management. Also provide medico-legal services. Case managers supporting people with complex injuries at home. From rehabilitation, to payroll services for carers. Neuropsychology, physiotherapy, occupational therapy, speech and language therapy. Independent rehabilitation practitioner and expert witness. An Expert Witness Podiatrist with extensive clinical experience in both the NHS and the private sector, with a special interest in gait and gait rehabilitation after lower limb injury. Based Leicester but will undertake home visits throughout the UK. We are the Housing Occupational Therapy specialists. Our services cover everything from expert witness reports to property search, design, sourcing of equipment and manual handling training. Our unique approach allows us to interpret complex medical and care needs into appropriate layouts and use of space. We create homes that clients can be proud of, not clinical environments. Operating across the UK and abroad, we are skilled at ensuring that architect and surveyor plans - whether to adapt a whole house or create a new bathroom or kitchen - meet clients’ current and future care and rehabilitation needs. Privately commissioned occupational therapy assessments and recommendations within the fields of rehabilitation, paediatrics, vocational rehabilitation, housing, equipment, mobility and access. Based Kent. Krysalis Consultancy is a nationwide neurological occupational therapy consultancy and vocational rehabilitation service specialising in clients with brain injury and neurological diagnosis. Medico legal reports in respect of brain injury. Psychological and neuropsychological medico-legal assessments; also expert witness. Full medico-legal package available on menu basis with the ability to defer costs. Medico-legal reports for solicitors as well as reports and Immediate Needs Assessments for case managers carried out by qualified, experienced and skilled rehabilitation professionals. In addition to psychological therapies, we are experienced in psychological assessments for medico-legal and litigation purposes; neuropsychological assessments and report writing; mood assessment and monitoring; cognitive strategy; advising in respect of returning to work or education. Clinical group focused on brain injury and cognitive impairment; reporting, assessment, imaging and rehabilitation services. Medico-legal reports on industrial disease, medical negligence and personal injury. Provide case management, rehabilitation and specialist clinical services for both adults and children; also able to provide an Expert Witness Service for the courts along with specific services for independent and statutory sectors including the NHS. Occupational therapy assessments and treatment to clients in their own homes throughout the UK. Network of expert clinicians covering areas including housing and equipment, complex seating, neurological rehabilitation, hand therapy and moving and handling. The UK's only national provider of arts therapies services, Chroma provides psychological arts therapy services and creates corporate staff development packages. Through our team of 70+ therapists, we provide a national service covering the education, health and social care sectors. Services include Art Psychotherapy, Dramatherapy, Music Therapy or Neurologic Music Therapy. Supplies handling, hygiene and pressure care equipment for the health and care sector and individuals including the VENDLET V5S, the world's first powered patient turning and repositioning system. Experts in keeping people mobile: sell, hire and lease wheelchair accessible vehicles. Mobility advisers work with clients, families, occupational therapists and case managers across the UK. Expert nutrition advice for people with brain injuries and other neurological conditions such as a stroke, Alzheimer’s or Parkinson’s. Proper help to make rehabilitation more cost effective by supporting clients to get the most out of all their therapeutic input.